Attract compliments galore clad in this pale teal shade lehenga style saree. 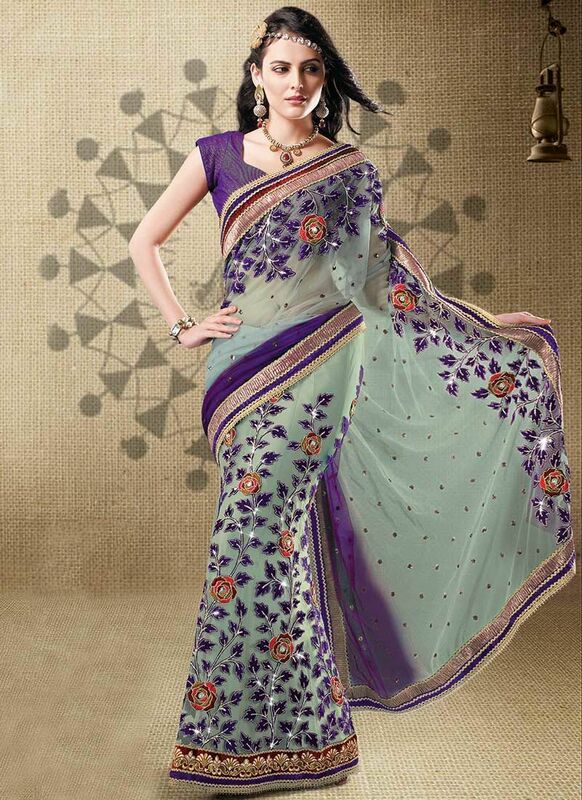 Saree features decorative floral patterns adorned with fancy embellishments. Decorative buttas adds further charm to the second half. Fancy patch border accentuates the saree. Paired with a matching blouse.